Arab Bangladesh Bank Limited (ABBL) is the first private sector commercial bank in Bangladesh. They intend to ensure the trust and confidence of the customers through focused customer orientation, quality of service and state-of the-art technology, transparency in dealings and adopting the best practices of Corporate Governance, achieving excellence in all the endeavors to create value for all the stakeholders. The significant challenge posed before them is the maintenance of the quality of business simultaneously with its transformation and business consolidation processes. This report is prepared based on the topic “Activities of General Banking and Improvement of Operational Procedure is needed for Better Customer Satisfaction”. Basically, this report is highlighted on overview of ABBL, structure, SWOT Analysis, present status, activities of general banking, practice of loans & advances, survey and analysis the results, own experience, recommendation and conclusion. To achieve an overall practical knowledge concerning banking activities. To know how a bank operates their various activities in different areas being a single organization. To understand how a bank bridges the depositors and borrowers and serves people in general by providing different services. To gain knowledge regarding the Import & Export procedure maintained by the bank as well as foreign trade. To get an idea that how a bank contributes to develop the national economy. To get the feedback by conducting the survey on customer satisfaction and improve the performance to provide better services. To evaluate the performance by analyzing the survey results, graphical presentation and statistical application. I think the topic that I have chosen is very important regarding banks as well as the customers. The prime job of the banks is to provide services to their honorable customers. Bank’s major source of fund is deposit, which is kept by their customers. It is very important for any bank to know that whether customers are satisfied or not, whatever their opinion regarding the services, which aspects they like or not and so on. If the customers are not satisfied with bank’s performance, then it will have negative impact on bank’s business. It is necessary to get feedback from customers time to time to improve the services. Based on the feedback, employers can modify or change their policies and procedures, provide the right guidelines to the employees about how to deal with customers in a proper way. Management practitioners can manage the tasks more effectively and efficiently. Thus customers would be more satisfied and loyal to the bank, which is very much profitable for the bank, its shareholders and the society at large. Bank will get more and more deposit from customers and contribute for the betterment of national economy. To complete the project work, I have collected necessary data from both primary and secondary sources. To conduct a survey on the randomly selected customers based on structured questionnaire in the New Elephant Road Branch. Prospectus, Annual reports, Web-site of ABBL. The major limitation that I have faced during my internship program was time barrier. Three months for Internship Program was not enough to learn all the banking activities. It was also difficult to realize the current performance of ABBL and the satisfaction level of the customers within this short period. Most of the time organizations restrict to disclose their internal information. So I think it was tough to get all the necessary information to prepare the report. Arab Bangladesh Bank Limited, the first private sector Bank under Joint Venture with Dubai Bank Limited, UAE incorporated in Bangladesh on 31st December 1981 and started its operation with effect from April 12, 1982. Dubai Bank Limited (name subsequently changed to Union Bank of the Middle east Limited) decided to off-load their investment in Arab Bangladesh Bank Limited with a view to concentrate their activities in the UAE in early part of 1987 and in terms of Articles 23A and 23B of the Articles of Association of the Company and with the necessary approval of the relevant authorities, the shares held by them in the Bank were sold and transferred to Group “A” Shareholders, i.e. Bangladeshi Sponsor Shareholders. The bank has contributed in the economy of the country through their dedicated service, business partnership and customer care over the last twenty eight years. They have seen enormous changes over the period and have continued to keep on adapting to changes their journey ahead. They have evolved new benchmark standards in terms of the following to face competition and prevail. They are concentrating on retail banking, side by side to business banking, in order to improve their yield on advances and diversity credit risk. Profit orientation is encouraged at all levels. With customer focus, sincere efforts, new products innovation and total involvement of the human capital of the Bank they are determined to improve business and profitability and occupy its justified position in the forefront of the industry. At present the Authorized Capital and the Equity (Paid up Capital and Reserve) of the Bank are BDT. 800.00 million and BDT. 1105.32 million respectively. The Sponsor-Shareholders hold 50% of the Share Capital, the General Public Shareholders hold 49.30% and the rest 0.70% Shares are held by the Government of the People’s Republic of Bangladesh. 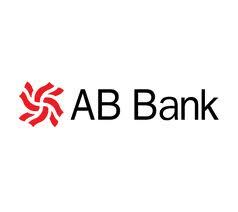 However, no individual sponsor share holder of AB Bank holds more then 10% of its total shares. During the last 21 years, Arab Bangladesh Bank Limited has opened 68 Branches in different Business Centers of the country, one foreign Branch in Mumbai, India, two Representative Offices in London and Yangon, Myanmar respectively and also established a wholly owned Subsidiary Finance Company in Hong Kong in the name of AB International Finance Limited. To facilitate cross border trade and payment related services, the Bank has correspondent relationship with over 220 international banks of repute across 58 countries of the World. Arab Bangladesh Bank Limited, the premier sector Bank of the country is making headway with a mark of sustainable growth. The overall performance indicates mark of improvement with Deposit reaching BDT. 28,130.00 million, which is precisely 14% higher than the preceding year. On the Advance side, the Bank has been able to achieve 5% increase, thereby raising a total portfolio to BDT. 19,910.00 million, which places the Bank in the top tier of private sector commercial banks of the country. On account of Foreign Trade, the Bank made a significant headway in respect of import, export and inflow of foreign exchange remittances from abroad (AB Bank limited, website, 2011). Mr. Badrul Haque Khan, Company Secy. (AB Bank limited, website, 2011). To be the best performing bank in the country and the region. To exceed customer expectations through innovative financial products & services and establish a strong presence to recognize shareholders’ expectations and optimize their rewards through dedicated workforce. Keeping ahead of other competitors in productivity and profitability. To attain budgetary targets fixed in each area of business (AB Bank limited, website, 2002). The Merchant Banking Wing (MBW) of ABBL has made notable progress and is presently equipped to serve customers’ needs by offering a comprehensive range of financial solutions. They understand an entrepreneur’s need for stability, trust, innovation and creativity required for the consolidation and growth of investments and endeavors to prosper. The professionals in MBW with its state of the art integrated computerized system, are always there to provide their vision, knowledge and service for success. Because, at ABBL, measure success by the number of satisfied customer within a time frame (AB Bank limited, website, 2011). The main activities involved in Corporate Banking division of the bank include – communication with customers and calls: The relation managers try to establish contact with key customers; know about the status of their capabilities. The next step is to collect customer information and make a detailed analysis of the needs of the client matched with what the bank can offer. After agreement of both parties, the bank gets approval from the lending unit. Once a company has become a client with credit relationship, the tasks are not yet over; the relation manager then have to monitor the performance of the company and ensure that no classification of credit occurs. ABBL is a global correspondent bank of financial institutions operating in Bangladesh. In FI, the customers of the bank include the largest nationalized commercial banks, which account for approx. 50% share of the country’s financial market, and also the top tier private sector commercial banks. Customers can avail a variety of account services such as payments processing in US Dollar and other currencies, check collections, investment of funds in overnight or long term money market products, view / download daily account statements etc. Electronic banking services are an important component of services to FI customers. Now ABBL is one such software, which is designed specifically for catering to the needs of financial institutions. The system offers direct link with all trade capable branches of ABBL allowing FI customers to make the transaction. Cash Management deals mainly with deposit collection i.e. is involved in liability management of the bank. For this, the team has to go out on calls to bring about customer deposits and get companies to open account with ABBL. Other activities in the department include speed cash collection. Investing the number of loans sanctioned by all the branches. Investing the consumer’s position to provide loan. Measure how much money has been recovered. Find the lucrative/speculative sector to invest. Account the recorded money has been remaining. ABBL is the first domestic commercial bank in Bangladesh to introduce Visa Electronic and Visa Credit Card at the same time. ABBL is also the only bank in Bangladesh to introduce Visa ATM Acquirer along with POS Acquirer, which opened the opportunity for all the Visa Cardholders (domestic and international) to use the ATMs. Recently the bank has opened an ATM Booth in Cox’s Bazar thereby further extending the network of ATMs (12), POS (327) and Q-Cash ATMs (30) outlets which extended the reach to as far as Munshiganj, Shirajganj, Khulna and Bogra. (AB Bank Limited, Annual Report, 2005, pp # 24). Keep records of all personnel of the bank. Bring new banking technology to serve consumer quickly. Internal audit team audits own branches. As ABBL is the first private sector commercial bank in Bangladesh, it has gained lot of experience within 25 years. ATM service and the recent adaptation of on-line banking have improved the quality of client services. The latest and most innovative global e-solution to ABBL is “Misys” banking solution. It is an internet based banking system with common worldwide delivery channel for ABBL’s cash and trade products. The system has a single point of access and common user interface for all customers worldwide. It is really difficult to find out all the weakness within the short time. It is created for the lack of sufficient Human Resources, research and Development, careless monitoring on credit and foreign exchange department. Currently ABBL has 68 branches that are spread out all over Bangladesh. If it can maintain and utilize all branches in a proper and efficient way, it can ensure profit maximization. In Bangladesh, private banks are growing up day by day and they are well also. In this circumstance, it is really difficult to survive by competing with the all-private banks. Adaptation of modern technology both in terms of equipment and banking practices by other well reputed private banks ensure efficient service to clients. It may become a threat for ABBL if they are unable to keep pace with this situation. ABBL is one of the largest private-sector banks in Bangladesh. It has expanded 68 branches which create efficient networking and reach capability. ABBL is a bank that serves both clients and country. The bank is headed by the Chairman. The Head Office is located at BCIC Bhaban, 30-31, Dilkusha C/A, Dhaka. ABBL is the well reputed and established bank in the private sector. All the branches are computerized and people are getting quick benefit from the bank. In rural area ABBL has achieved a great goodwill and if the bank can hold this reputation it can earn much better profit in future within the new competitive era. Current Accounts are important accounts by which many parties can get benefit by opening this account. In general, the businesspersons, business corporations open these accounts for immediate cash or deposit. Any time can en-cash by issuing cheaque. Any time can deposit money. No interest is available on this account. It requires two copies of photograph of the account holder(s) / person(s) who will operate the account. It requires two copies of photograph of the account holder(s) / person(s) who will operate the account, certified copy of Valid Trade License, certified copy of Partnership Deed duly signed by all the partners, partnership Accounts Agreement (Draft enclosed). It requires two copies of photograph of the account holder(s) / person(s) who will operate the account, certified copy of Certificate of the Memorandum & Articles of Association, certified copy of Certificate of Incorporation, certified copy of Certificate of Commencement of Business (in case of Public Limited Company), list of Directors, certified copy of Resolution of the board of directors for opening & operation of the accounts (Draft enclosed). It requires two copies of photograph of the account holder(s) / person(s) who will operate the account, certified copy of Certificate of the Memorandum & Articles of Association, certified copy of Bye Laws & Regulations/Constitution, certified copy of Resolution for opening & operation of the accounts, and up-to-date list of Office Bearers/Governing Body/managing Committee. This accounts also gives benefit to the accounts holder. Generally business organization or limited company cannot open this account. Savings account is opened by those persons/people, who are interested to collect money from his account every now and then as want to get interest on deposited amount. Interest is given to this account. At least Tk.10, 000 has to keep as balance by the depositor. If Tk.10, 000 kept as balance every day then the interest is counted as daily basis. Interest is counted two times in a year meaning after six months after. If anybody wants to close his accounts, he must have to pay Tk 200 for closing charge. Any body can transfer his accounts at any time to any branch. Two copies of passport size photo of accounts holder. One copy of passport size photo of nominee. The FDR account is an important account. The interest rate of this account is higher than the other account but it depends on the period of time. The more a person holds his money in the bank, the more he gets as interest. So many people keep their money as FDR basis in the bank. The ABBL also invest a lucrative fixed profit for account holders who are more interested to open this type of account. Any Bangladeshi nationals residing home or abroad may open FDR with ABBL. FDR may be open single/joint name for a period of 1 month, 3 months. 6 months, 1 year & 2 year. ABBL offers attractive/competitive rate of interest in FDR. Interest is given periodically and Excise Duty is charged once in a year. If any account holder wants to receive money from his account without the covering of maturity he must not be paid any interest by the bank. ABBL may change the rate any time without any notice. This account is also important for many organizations. This account requires a huge amount. Generally there is no basic difference between the current account and the STD account. The only main difference is that STD A/C provides interest but current A/C does not do it. Actually cash maintenance is vital role of a bank. Because it is very risky job All the employees should understand the activities of the cash department to be a complete banker. But it is common that maximum employees are far from the cash function to avoid the risk. Generally, assistance manager is the main responsible person to handle the remittance function. No one can go out of the bank until and unless cash is send to the volt. Receiving cash from the depositor. Payment of cash to the client as demanded. Checking all areas of deposit slip whether it is clearly written or not (name, account no., amount). Verifying the payment cheaque when to pay the money to the clients whether the information is available or not like date, amount, account no etc. All the receive and the payment money must be written down in the receipt and payment register along with account number. The cash officer must maintain cash register. Maintenance of daily cash balances. Preparation of monthly cash balance statement. This department is absolutely important for a bank. It covers near about 50% of profit of a bank consequently, all the branches try to provide this service to client as much as possible. Basically, these services for cash transfer. Payment Order is a real document for paying money from one person to another. There is no risk concerning this matter. Sometimes many people do not want to believe on cheaque because account may be out of lowest balance, may be suited by the bank. Payment Order is account payee only. It may be also en-cash by the client it whom it is issued. Purchase may purchase it by paying cash or by debiting the exact amount from his account. Payment Order must be withdrawn from the issuing branch. Demand Draft is a real document for paying money to a person who is living out of this area and bearing an account with another branch in this bank. For instance, a person is living in Dhaka. He wants to give some money to another person to Chittagong who is bearing an account with the ABBL at Chittagong. But he does not want to pay in cash. In this case he may purchase a DD (A/C payee only) in favor of him. Demand Draft is account payee only. Clients may purchase it through cash or through cheaque by debiting his accounts. DD must be withdrawn from the responding branch. This is the service that is provided by the bank through which clients can be benefited. It is generally used in collecting money from the different bank. It can be same bank or other bank. The entire clearing voucher must have to be checked carefully and accurately. The entire Inward Clearing Cheaque amount must have to be calculated whether the amount is accurate or not. All the things must have to entry in the Clearing and Collection Register respectively. Clearing cheaque name and the deposit slip name must be the same. In this process parties deposit their amount through another bank’s cheaque. It is like that an individual bearing an A/C with ABBL comes to deposit a cheaque of UCBL, which is issued for him. This amount will be credited in his A/C through clearing house. In general, it takes minimum two working days to pass. If it is dishonored by any cause, it must be informed to party. There are many reasons by which any cheaque can be dishonored by the bank such as signature does not match, amount is not available on parties A/C, amount has been written wrong etc. This collection procedure depends on the out side cheaque. For instance, a party A/C is at New Elephant Road Branch of ABBL. A cheaque of Rajshahi Branch of EBL has been issued in the name of the above party and has been deposited to his A/C by him just to increase amount of money. Now how it will be collected? In this case ABBL New Elephant Road Branch will send this cheaque to their Rajshahi branch and this branch will collect this money from the EBL through clearing procedure at Rajshahi. If the Rajshahi is failed to collect the amount the cheaque must be sent to the ABBL New Elephant Road Branch directly. On the other hand if they can do it they will send an IBCA to ABBL New Elephant Road Branch. These are the clearing cheaques, which have been passed by first clearinghouse. It is also this branch’s (ABBL/UBL) cheaque that has been deposited to another bank. And it will be debited by the parties A/C. By checking all the Accounts in the computer database, if it is found that the amount is available then it will be debited otherwise it will be sent to the Local Office again. For instance, ABBL cheaque was deposited to the EBL. Through clearinghouse and by the Local Office it is sent to New Elephant Road Branch to collect this amount within two days. This branch will check the parties A/C. if the amount is not available it must be sent to the local Office through Messenger. Consumer Credit is a concept, which has conceived in the minds of many a banker and has been thought about to bring the unexplored area of the consumers who belong mainly to the middle class to enjoy the benefits of Bank finance. This group consists of the people who are employed individuals, self-employed persons, and even businessmen. Arranging credit facilities for these individuals who have a limited income may think of buying a car or any electronic items, like – TV, fridge, etc. or spend for house renovation or expenses for marriages and enjoy a minimum comfortable living standard. AB Bank is extending credit facilities in all sectors covering commercial credit lines to the business community. In addition to that other facilities like consumer credit, student loan scheme, PC loan, loan against DSC, supervisory credit to the farmers, weavers in the agricultural sector etc. to be extended for development of the country. Such credit options have become a desperate need and Arab Bangladesh Bank Limited among the many other banks have successfully introduced the scheme in the year 1997. Over a span of 5 (Five) years there has been a dramatic rise in the number of Consumer Credit. Nevertheless, it may be mentioned that quite a number of Banks have similar schemes and each day newer products are being introduced. d) Q-Cash Staff Overdraft (unsecured). e) Q-Cash Customer Overdraft (unsecured). f) Auto Loan (unsecured) (AB Bank limited, website, 2002). The scheme is intended to improve the standard of living of the middle class population by extending credit facilities to them for procuring costly and essential consumer products on easy terms and conditions (AB Bank limited, website, 2002). a) Salaried individuals such as – Confirmed Officers / Executives of Private / Multinational Companies, Corporation, Banks, Insurance Companies. b) Officers / Executives of Government / Semi-Government or Autonomous Bodies, NGOs, International Aid Agencies and UN Bodies. c) Teachers of Educational Institutions. d) Self-employed Professionals (Doctors / Engineers / Chartered Accounts / Architects Consultants). e) Businessmen (AB Bank limited, website, 2002). a) Any citizen of Bangladesh falls under the above categories. b) Holding an S/B, C/D Account with any Branch of Arab Bangladesh Bank Limited or any other Bank. c) Age group: 25 – 52 years. d) Minimum 2 (Two) years’ work experience. e) Income Tk.15, 000/- (for Personal Loan – unsecured). Income Tk.25, 000/- (for Auto Loan – unsecured). f) Debt burden maximum 30% for all categories (AB Bank limited, website, 2002). Minimum loan amount : Tk.5,00,000/- (for Personal Loan – unsecured). Minimum loan amount : Tk.10,00,000/- (for Auto Loan – unsecured). a) Obtain the prescribed application form alongwith the folder and fill-in the detailed information required. b) Open an account with the Bank under proper introduction. c) Submit required papers alongwith the quotation for purchase of proposed product or for any other purpose. d) One undated cheaque for total payment amount (Loan tenor : equal monthly installment). e) Charge documents to be signed by applicant / guarantors (AB Bank limited, website, 2002). Q-Cash Staff Overdraft (unsecured). 13% p. a.
Q-Cash Customer Overdraft (unsecured). 16% p. a. Auto Loan (unsecured). 15% p. a. (AB Bank limited, website, 2002). a) Equal monthly Installments for both principal and interest, covering the period of the loan. b) Installments to be paid within the 30th of each month (AB Bank limited, website, 2002). a) Personal guarantee (for all product specification). b) Cash collateral (for secured overdraft / loans). c) Charge documents (AB Bank limited, website, 2002). a) Branch Managers jointly with Sub-Manager / Relationship Official. b) For exceptional cases – the Senior Executive Vice President (Corporate Banking) and the Senior Executive Vice President (Credit) or Managing Director (AB Bank limited, website, 2002). Our 67 (Sixty-seven) Branches have been allocated funds for disbursing Consumer Loans (AB Bank limited, website, 2002). The Consumer Banking products have attained wide marketability and appreciation. Advertisements in periodicals / newspapers having wide coverage and Ads are also put-up in the billboards on main thoroughfares of the metropolis. A number of 33 Branches situated in the city centers and in important areas have been well decorated with vibrant and colorful balloons, danglers and posters. These are eye catching and attract the numerous customers and clients who visit the branches frequently. The persons interested for the Consumer Credit approach the nearest Branch or even contact the concerned officials at Head Office for details. Our enterprising, young and energetic sales officers visit the automobile / electronics goods show rooms and campaign for making available to the buyers / consumers personal loan facilities of electronic / household appliances and vehicles which they wish to purchase. In order to booster the financing of auto loan / personal loan unsecured we have agreed on the principle of Memorandum of Understanding with M/s. Butterfly Marketing Company Limited and Uttara Motors Limited, who are the main dealers / sellers of electronic goods and motor vehicles. Through these firms we have been able to finance quite a number of clients (AB Bank limited, website, 2002). The members of the Consumer Banking Department review the position of all the Branches and monitor each and every account. Letters, reminders or even phone calls are made to any Branch which fails to realize the installments timely. The Branches are given time limit to reduce the overdue liabilities or face the consequence of having to lose their discretionary power of disbursing further Consumer Loans (AB Bank limited, website, 2002).